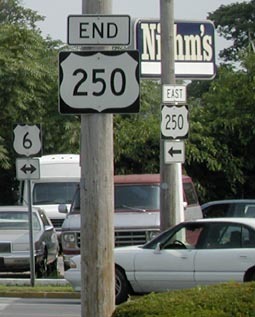 Note: US 250 is signed north/south in West Virginia. 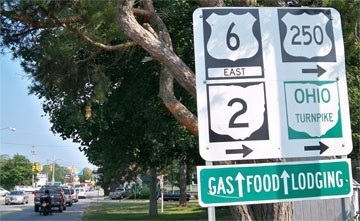 The 1925 preliminary plan for the US highway system had a "US 250" in Kansas, running essentially along modern US 50 from Baldwin City to Garden City. 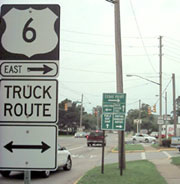 As a result, this number did appear on some maps, but it was never approved; the route ended up being designated "US 50-S" in the 1926 final plan. 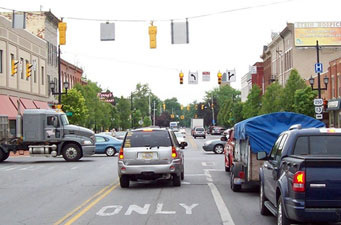 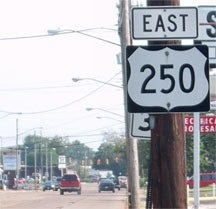 To the left on Benedict was the original west beginning of US 250.